In an amazing demonstration of consideration and willpower, 100% actually made it inside to be shared with Mrs. cohutt….. 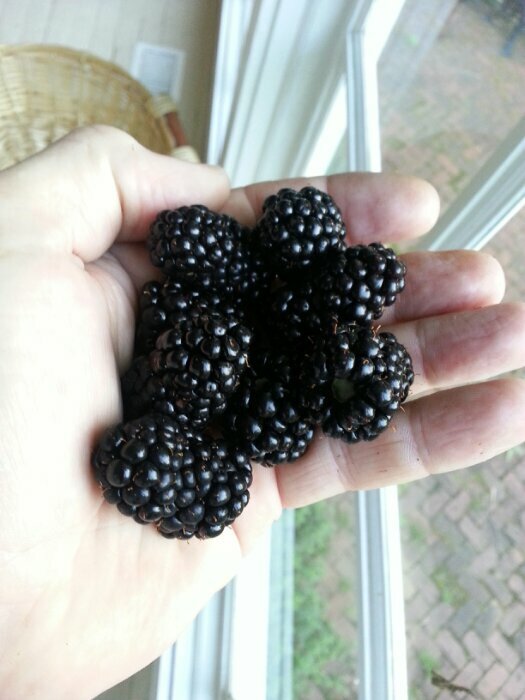 Either those are ginormous blackberries, or you have little bitty hands! Good grief! That’s fabulous! I need to try my hand at blackberries. Raspberries do well here but haven’t tried blackberries. Those look delicious!